Summary WHITE GOD is a Hungarian drama about a young girl who is forced to give up her dog when she moves into her father's small apartment. 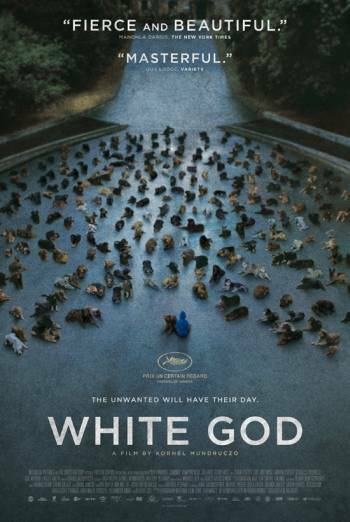 WHITE GOD is a Hungarian drama about a young girl who is forced to give up her dog when she moves into her father's small apartment. There is frequent strong language ('f**k' and 'motherf***er'), including aggressive use. There are some strong bloody images seen as a result of dog attacks on humans. While there is no direct sight of the injuries being inflicted there is some focus on the bloody aftermath of the attacks. There is a scene showing dogs fighting as part of a gambling operation; there are assurances confirming no dogs were actually harmed.